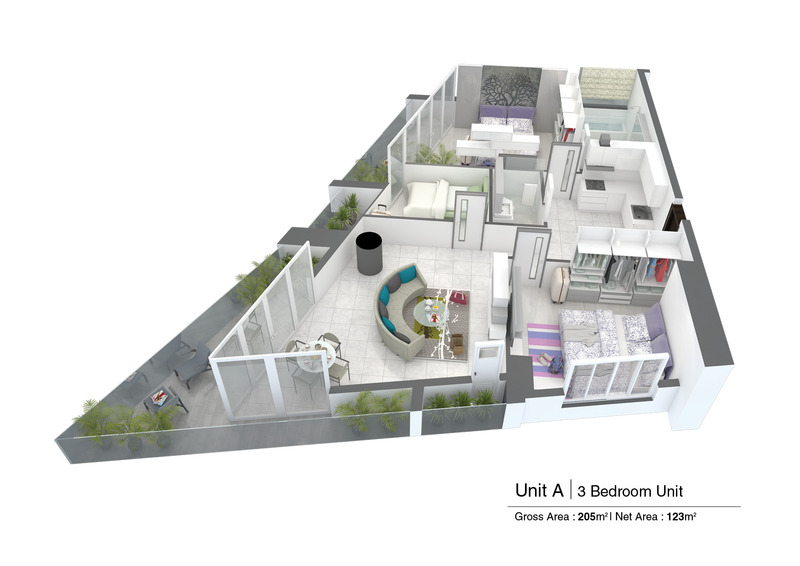 We have an exclusive limited offer of up to 10% off listed prices on the first 6 units sold! 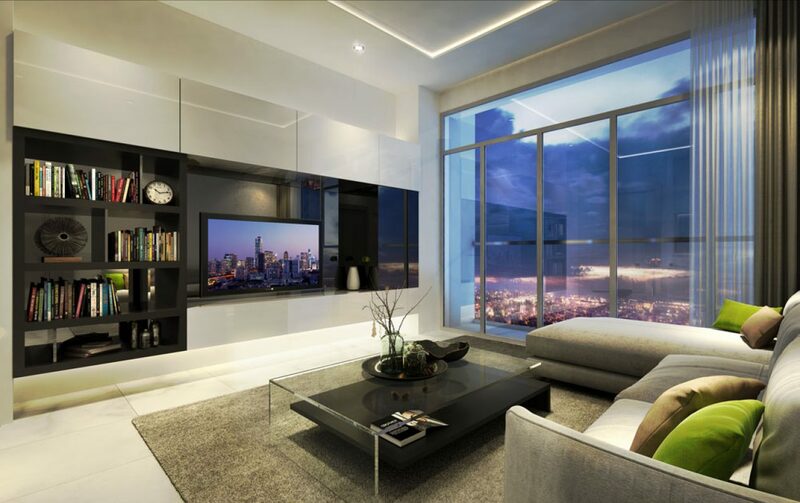 ALFA Investors are offering a discount on the list price or combination of discount and free furniture package on the superb city centre apartments developed by Cambodia’s leading urban developer SunCity. This is a limited time offer so please contact us today! 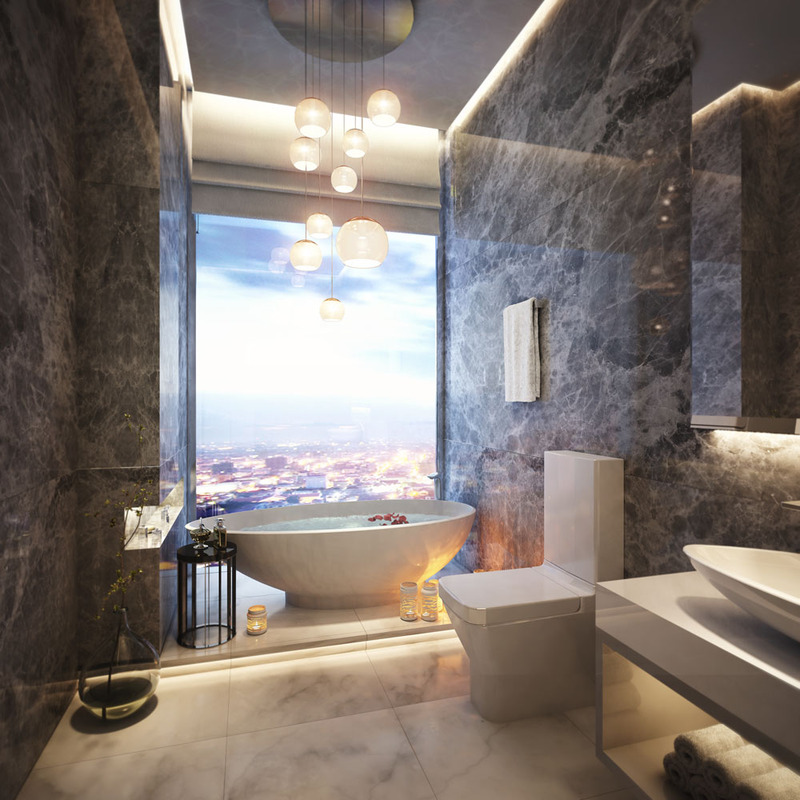 A new architectural landmark is set to redefine exclusive living in the Cambodian Kingdom’s capital, Phnom Penh. 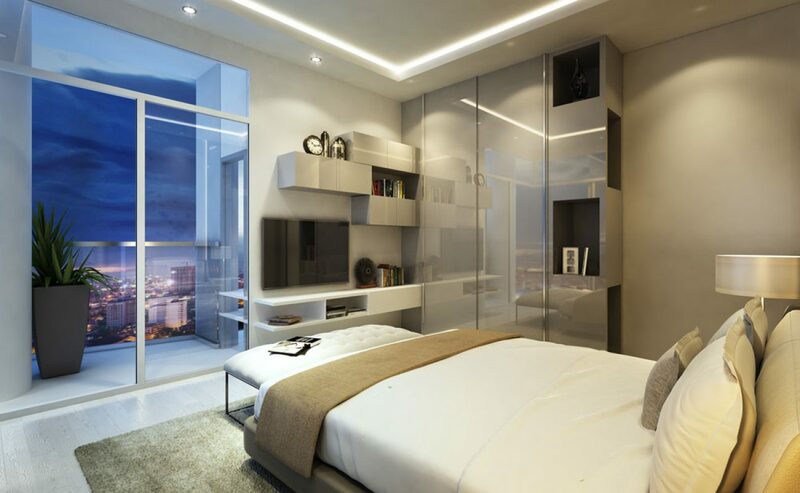 The 21-storey, SunCity Bassac houses 112 stylish units offering 1, 2 and 3 bedroom configurations as well as a selection of penthouses. 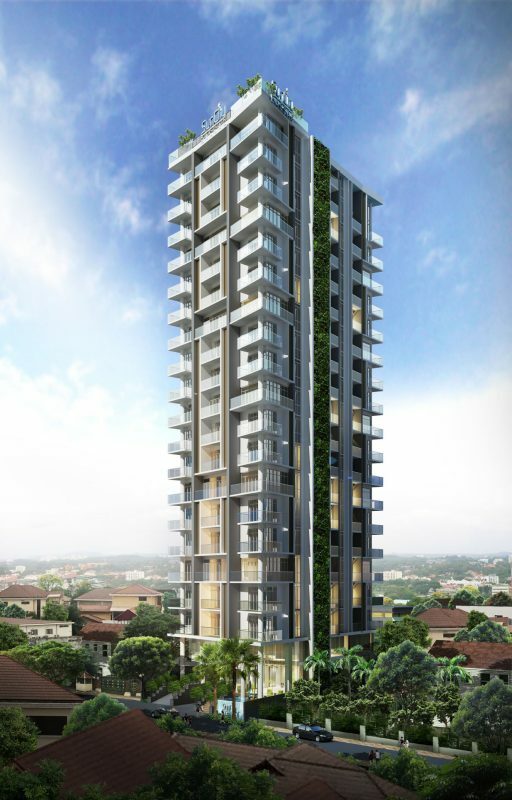 Overlooking the centre of Phnom Penh, SunCity Bassac is a modern tower of steel and glass, embracing natural light and allowing magnificent views to the panorama of Phnom Penh. The façades are clad with vegetation making it esthetically attractive as well as an eco-friendly building. The integration of plants makes the building stand out in the neighborhood as well as creating a more pleasant and peaceful ambience for its tenants and visitors. 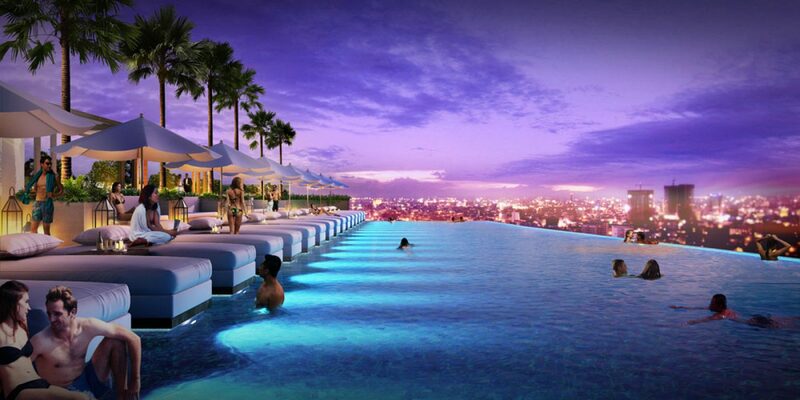 A breathtaking infinity edged pool on the roof offers total immersion in the magnificent views of the city. There is an adjacent rooftop bar and sky gym that compliment some of the great facilities on offer to residents and their guests. A breathtaking slice of paradise designed to suit any mood or inclination, this unique blend of shaded and sunlit-open air spaces features a stunning infinity edge pool, the spectacular Lounge, and all-in sky gym center. 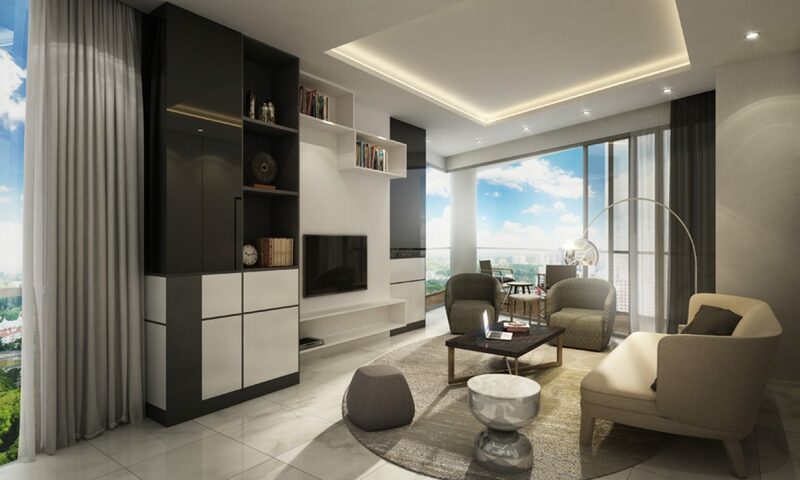 SunCity Bassac encapsulates all city living has to offer, including easy access to shopping, transport, fine dining, business and professional services. All apartments have balconies and some have balconies plus terraces with spectacular views of Phnom Penh. A choice of 3 configurations to choose from and low or high floors. 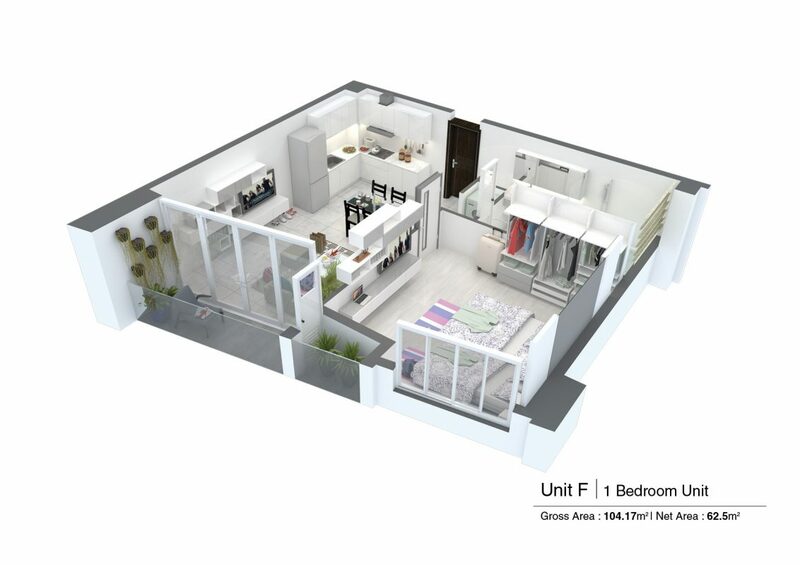 Contemporary interiors can be fully furnished and offer airy and expansive living arrangements, complete with bathrooms, kitchen and dining areas. Several Duplex Penthouses are available on the top floors. Prices available on request. 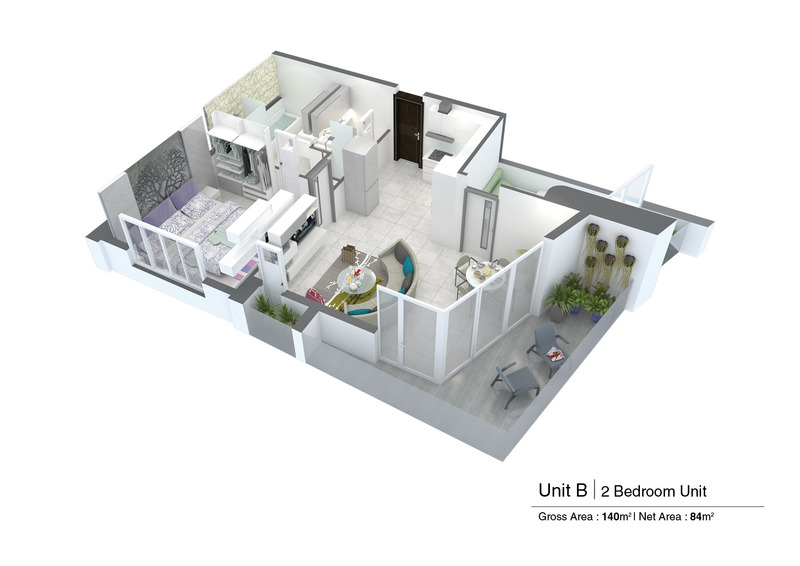 This is the second luxury apartment development from the developer. 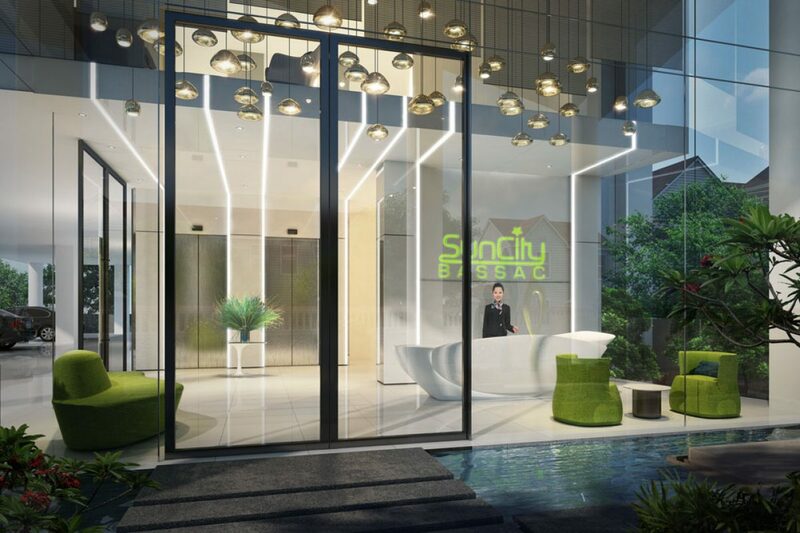 SunCity Bassac has a waiting list of 6-months of tenants wanting to rent units in this excellently located project in prime city centre, embassy district. For a limited time only there is an Early Bird Discount of 10% off the purchase price for the first 6 apartments unfurnished or 5% discount and 5% free furniture package making these apartments ready for immediate rental to tenants upon completion. Interest is high so please reserve your apartment as soon as possible to avail of this special limited offer! Contact us today and we can reserve your preferred unit for 1 week or up to 30 days with deposit to qualify for discounts and free furniture package. Freehold ownership for foreign investors. Rental returns are expected to be circa 6-7% per month. SunCity successful projects have waiting lists of up to 6 months for rental tenants. US$0.6 per gross sq/m. The management company is very experienced and the first SunCity development is still like new after 6 years! For a limited period there is a free furniture package with approximately 5% of the purchase price. The payment schedule includes a US$3,000 reservation fee which will take a unit off sale for 30 days. This is fully refundable and if after this period you are happy to proceed, this reservation fee comes off the initial signing payment. 30% when super-structure is built. If you’d like to find out more about SunCity Bassac please do kindly get in touch as we’d be very happy to email further information or to perhaps schedule a call or a private meeting to discuss this exciting and unique opportunity in greater detail. If you would like to informally reserve a SunCity Bassac property for a working week whilst you continue your research we can hold a property back for you on this basis – no forms to sign and no deposits to pay – just ask! 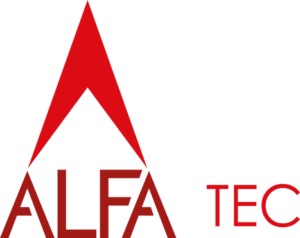 Contact an ALFA Investors representative by clicking the Contact button below and we’ll get in touch with you straight away.